Why should you make this salad? Cause it looks amazing 🙂 For real, it’s appearance is quite unique. Besides, it is the ultimate health advisor’s dream. Plus, it doesn’t take long to prepare. Ah, and before I forget: it tastes AWESOME! It really tastes splendid and that despite being based on the cheap caviar-like roe you can buy in any supermarket. I am not especially keen on eating any caviar unless it comes from sturgeon (by the way, there is finally a sustainable way of producing caviar – but more about this soon). However, this salad made me change my mind about fish eggs. Get a dose of roe at your local supermarket – it should contain around 50g of caviar. Buy whichever version you prefer (black, orange, yellow etc). Also get two bundles of garden radish and two boxes of fresh peppercress (you know these boxes in which peppercress grows). Wash the radish. 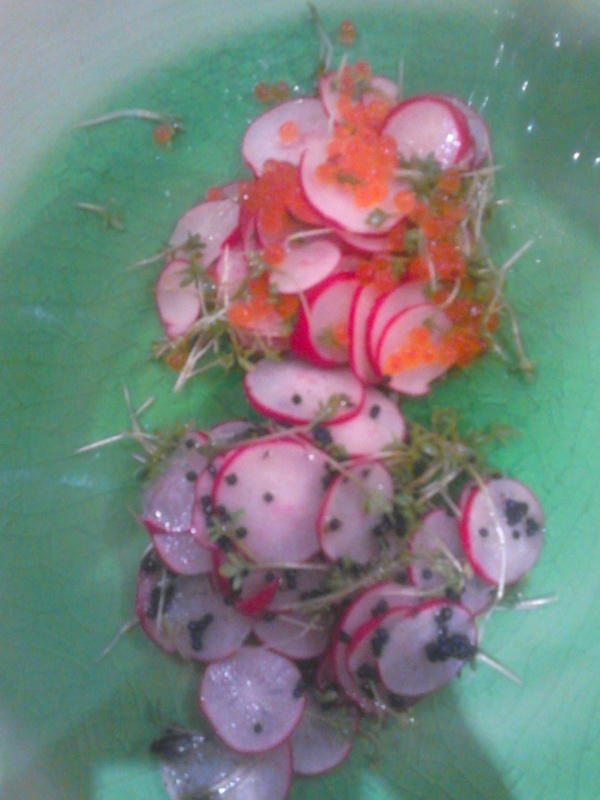 Cut around 34 radish bulbs into thin disks (use whichever method you want) into a bowl and add the caviar. Cut the peppercress with scissors and wash it. Add the peppercress to the salad and mix the salad). Prepare the dressing by mixing 10 tea spoons olive oil with 10 tea spoons lemon juice, 3 tea spoons Dijon mustard and 1 tea spoon honey. The exact volumes can be varied according to your taste and according to which kind of fish roe you chose. Add the dressing to the salad and mix again. Voilà! The salad goes well with – of course – sushi and fish, but also it fits to any vegetarian or pasta meal. You can eat it as a main dish or can try out to how many foods it can serve as a side dish. The described amount is enough for either two side dishes or one main dish. A disadvantage of the salad is that it is quite expensive; for the given recipe you will need to spend about 4-5 Euros. Still, the investment may be worth it! 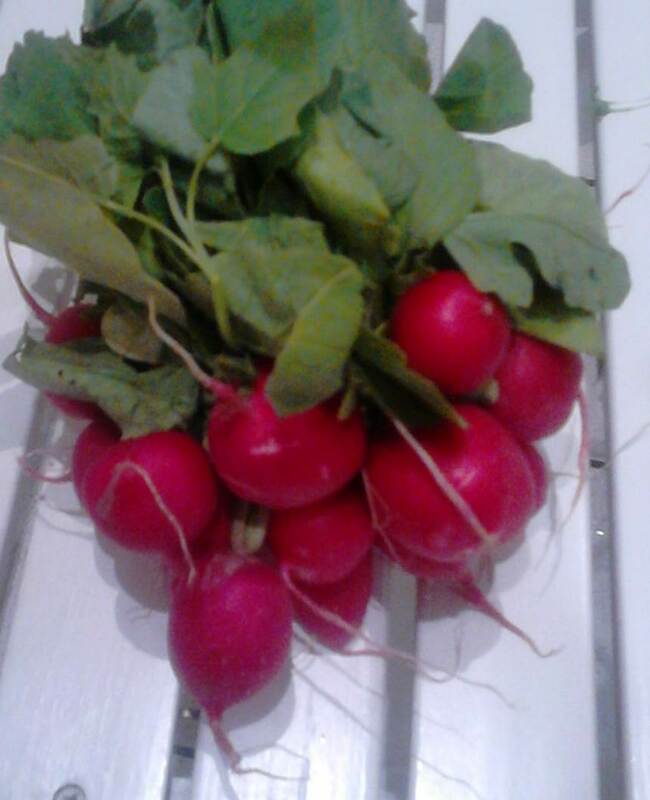 Finally, what to do with the left over garden radish – we will soon post more about it!